Beavers are most certainly skilled builders, but they are very good at one more thing and that is helping you win! Play Builder Beaver, the newest Slots of Vegas slot machine game and discover 2 different Free Game Features that'll let you win free games to double or triple your prizes and give you extra substitute symbols! You thought a Beaver's strong teeth and capacity to see underwater were their only special features? Discover all five Beaver symbols and get 10000 x bet per line. Huge prizes, random jackpots and hours of fun await you at this side of the dam with the most fun, furry and hard-working pals you can find. Play Builder Beaver Slots for Animal Kingdom-sized casino wins! Builder Beaver is the 5 reel, 25 payline slot game that was designed break your bad luck streak and 'build' your way up in winnings. A very busy beaver in the construction business is the theme of this spectacular new slot machine game which gives you more chances for winning with a minor jackpot and a major progressive jackpot triggered at random and awarded at the end of any game. To play, simply pick the number of lines from 1-25 that you wish to play and decide how much you'll be betting. To do this, use the up and down arrows. You can bet from $0.01 up to a $100 per spin. Once you've made these adjustments and selected the betting amount, all that is left to do is hit the Spin button to get the reels going. With the Autoplay feature you don't have to hit 'Spin' for every game. Simply select the number of times you want the machine to spin for you and the autoplay does the rest. You can also stop it at any time. A lot of times, beginner slot machine players will think that, the more you bet on every spin, the more chances to hit the Jackpot. This isn't true at all, especially with our Builder Beaver slot machine game. Regardless of the amount you play, you've got the very same chances of hitting one of the two independent, progressive jackpots on this game which are then awarded to you, if won, at the end of your game. 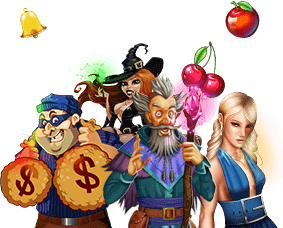 The minor and major jackpots reset at $250 and $1000 correspondingly. And what about the Free Games you ask? You get 10 free games as soon as 3 or more scattered Signs appear anywhere but wait, there's more: a total of 12 free games are awarded when you spot 3 or more scattered Beavers and when one or more of these cute, hard-working beavers substitute in a winning combination, the free game prizes get tripled for you! The best of all, this feature can be retriggered so if you're really lucky you may get it more than once. Substitute Symbol: Whenever the symbol representing a Beaver is displayed on any of the reels, it will substitute for all other symbols except in the case of scattered signs. Sign Feature: When you participate in a Sign free game, all prizes get doubled and all Signs act as additional Beaver substitutes. 10 additional free games are awarded whenever you spot 3+ scarred signs or beavers. Beaver Feature Trigger: 12 free games are awarded when 3 or more scattered Beavers appear anywhere during normal games.